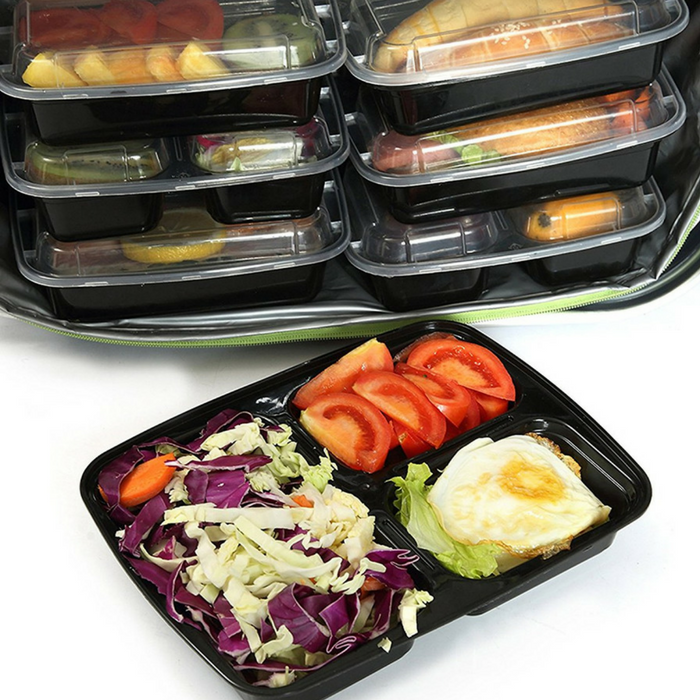 Food Containers 20-Pack Just $14.79! Down From $50! You are here: Home / Great Deals / Amazon Deals / Food Containers 20-Pack Just $14.79! Down From $50! Amazon has this Food Containers 20-Pack on sale for just $14.79 down from $49.99 PLUS FREE shipping with Amazon Prime or for orders $25 or more! The 3 compartment meal prep food storage containers are made from durable and eco-friendly food grade plastic material. These bento lunch boxes are reusable, stackable, dishwasher-safe, freezer and microwave safe. They are the best lunch partner for kids and adults. MICROWAVE & DISHWASHER SAFE-The divided lunch container can withstand freezer, microwave & dishwasher. The divided plate sets are easy to use and clean, dishwasher safe. But it’s suggested that a gentle wash would maximize the longevity of the bento lunch pack box. STACKABLE, EASY TO CARRY OUTDOORS-20 Pack of portable microwave restaurant food containers with 3 compartment; Stackable-easy storage in lunch bags. With the lunch plates, packing food is quick and easy.